Search Results for "new orleans skyline"
New Orleans Skyline. 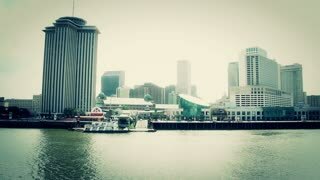 The skyline of New Orleans, Louisiana. Features several rooftops and high rise buildings. 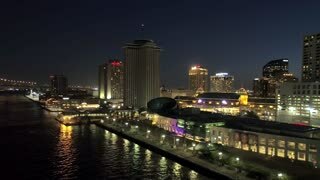 New Orleans Louisiana Skyline. 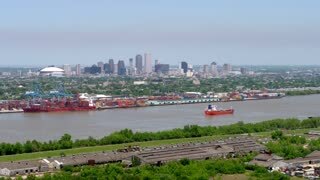 View of the New Orleans, Louisiana skyline, including a view of the harbor, several buildings, a bridge and a burning building with smoke billowing into the sky. 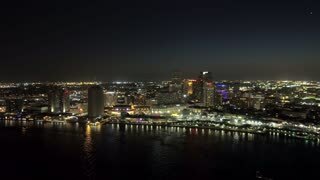 New Orleans Louisiana Skyline. 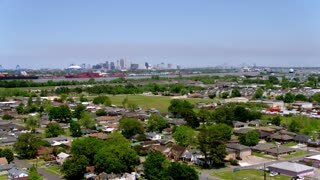 View of the New Orleans, Louisiana skyline, including a view of the harbor, several buildings, and smoke billowing into the air from a burning building. 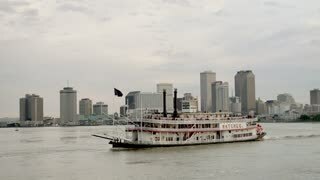 Smoke Skyline New Orleans. Smoky skyline of New Orleans, Louisiana shortly after Hurricane Katrina. Includes a harbor and a view of a building on fire in the distance. Sun Skyline New Orleans. The sun ominously sets over the New Orleans, Louisiana skyline. Beautiful red, yellow and orange colors illuminate fluffy, sparse clouds. 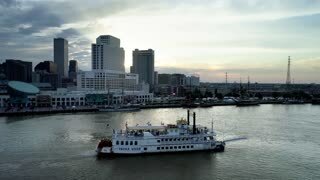 Sunset Skyline New Orleans. The sun setting over the skyline in New Orleans, Louisiana. Features beautiful reds, yellows and oranges illuminating fluffy clouds. 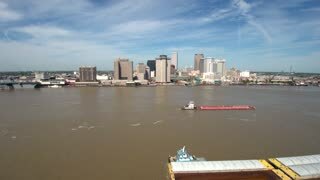 Aerial view of the New Orleans skyline, streets, architecture and the Mississippi River during a sunny day. Aerial of a container ship traveling along the Mississippi River at sunset with the New Orleans skyline in the background. 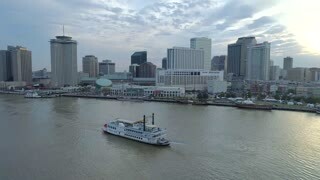 Panning aerial view of the New Orleans skyline, streets, architecture, Mississippi River and Lake Pontchartrain bridge. 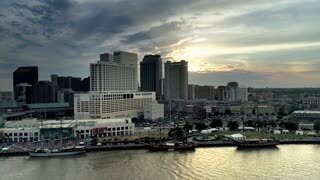 Aerial view of the New Orleans skyline, streets, architecture and the Mississippi River in the late afternoon. 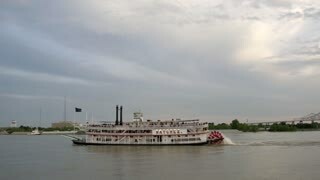 Aerial of a container ship traveling along the Mississippi River at sunset with the New Orleans skyline on the horizon. 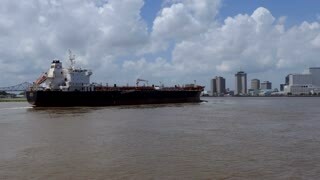 Large freighter powers down the Mississippi River in front of the downtown area of the New Orleans skyline.